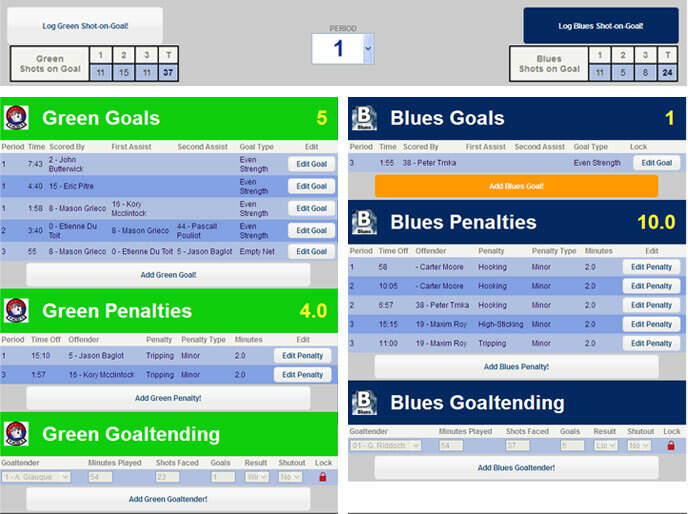 With a lot of games being played in a short amount of time, you don't want to waste time scoring games by hand and then having a second person put the data into the computer. Players and parents want timely updates to the stats and standings. Avoid data entry mistakes associated with re-entering data from hand-written gamesheets. 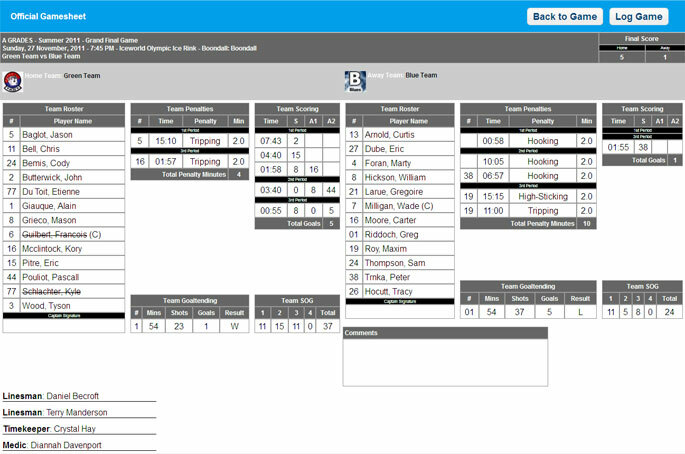 Parents, fans and teams can follow along with games as they occur from any web-enabled device. Score games and log statistincs on any web-enabled device. 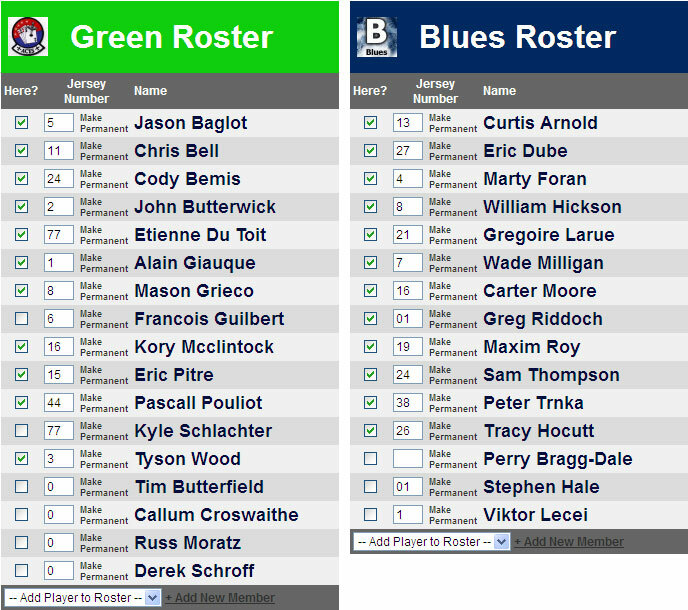 Team Rosters and Officials automatically populated. Official scoresheets available to print before or after the game. With so many advantages, it's great that you can take advantage of this feature with your website. So How Does it Work? Watch the Video!